Raise your spirits with Bergamot oil, well known to be an antidepressant and stimulant in nature. Create a feeling of freshness, joy and energy by improving the blood circulation and stimulating activity of dopamine and serotonin. 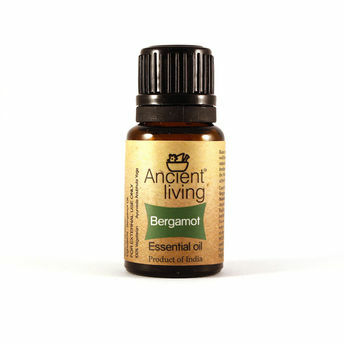 Bergamot essential oil is a healing and antiseptic oil and very useful in skincare. When used in a vaporizer, it's wonderful, fresh aroma will lift the spirits. It is not only refreshing but also a relaxing essential oil. Its balancing qualities make it excellent for alleviating shock and stress in general. It may also help with addictions and compulsions, feeling like a failure, or feelings of inadequacy, inferiority, or worthlessness by helping us step into our own confidence, empowerment, ability to play bigger, self-approval and joyfulness. For an aromatherapist it is probably the most valuable oil for helping with mental and psychological states. Analgesic, antiseptic, antidepressant, carminative, cicatrisant, deodorant, digestive, febrifuge, sedative, vermifuge, vulnerary. Helps with depression, SAD (Seasonal Affected Disorder), feeling fed-up, respiratory problems, colds and flu, PMS and induces self-confidence. If used in a 1% concentration or less it can help with eczema, psoriasis and acne. Can help get rid of bad breath. Helpful with cystitus and urinary infections - it can be added to your bath or used as a local wash (diluted to 1%). Excellent insect repellant and works even better when blended with lavender.